Yubico YubiKey is a small USB and NFC device that support multiple authentication and cryptographic protocols it protects access to computers, networks, and online services for the organizations. "Yubikey - The most economical way to implement 2FA in SMBs and small to medium size enterprises"
Although we primarily focus on enterprise customers, we have many SMBs. We have found that the Yubikey at $40 each is the cheapest and easiest to implement two-factor authentication (2FA) out there. It is very easy to implement and supports all major operating systems, many password vaults (lastpass for example), and the majority of Internet sites. It was trivial to implement on MAC OS, Windows, and in all browsers. It only has two partitions. The first we use for a Smartcard and the second for one-time-passwords (OTP). It would be nice to have more, but it works fine for our customers and our needs at present. It also has a limit to the number of passwords you can store on it. Which would require more memory on the USB soft token. Again, nothing that has negatively impacted it. There are many smaller companies making USB token based solutions. Most are clunky at best. Yubikey really has their act together with features and functionality. My daughter uses them at two hospitals she has been at. It gave her access to resources without knowing any passwords. This gave both hospitals a big win to eliminate the need for employees to know and use password based credentials. Healthcare is the greatest target for malicious or accidental insider attacks. Since all breech reports for the past many years have shown that User ID and password have resulted in 100% of the breeches. It is critical that every organization implement two-factor authentication for VPN access, authenticating to their computing devices, web sites, and password vault. "Yubikeys are Amazing and Simple"
I use my Yubikey almost every day for multi-factor authentication. It's super simple to use, easy to use pragmatically, and just provides a great experience for dealing with MFA -- especially when security is important. So long as you are able to keep your Yubikey on you and not lose it, it can really simplify MFA experiences. It's nice to have other MFA factors as backups (Authy, Google Authenticator, etc.). I'm using my Yubikey devices for MFA purposes for work and personal apps. The main benefit is not using an insecure factor like SMS. It also makes it easier to authenticate quickly with my Yubikey as I can just leave it plugged into my computer and tap the button anytime I need to reauthenticate. "Yubikey makes two-factor security easy"
Yubikey by Yubico works great with LastPass to provide two-factor authorization into my save password vault. I feel confident in knowing that my passwords are secure because my Yubico Yubikey device stays on my key chain on my person at all times. Using it is as simply as plugging in the device to my laptop computer and using the hardware interface. My account name and password can be compromised remotely, but my account stays secure as long as I maintain physical possession of my Yubikey. There are so many different types of Yubikeys on the market at this time, it is sometimes difficult to determine which product is right for me. Luckily, the Yubico website does a great job of comparing the different options for the various Yubikey versions available for purchase. I debated getting one of the micro devices, but I was fearful of using a device that was permanently installed into a machine rather than a device that I can carry around with me and use on multiple computers. Be sure that the password management system that you select supports using Yubico devices. I needed a secure, two-factor method to protect my saved passwords in LastPass. LastPass is a great password management system, but unless you have some sort of two-factor authentication in place, it is a dangerous way to store your passwords. 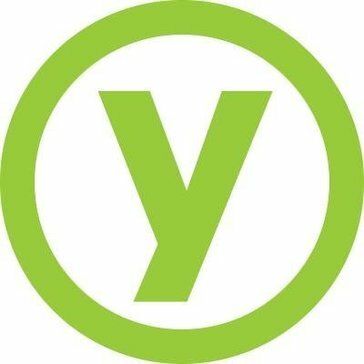 With Yubico, I am able to feel very secure using this password management solution. "Yubico is easy to use, easy to install and easy to carry around. " We used the product for multifactor authentication on company's online corporate accounts as well as access to personal computers. What I really liked the most was getting to use it quite quickly out of the box, it was easy to install and configure, and the documentation on the website made it easy for us to configure it's use on personal computer access. For the price point, it completely worked wonders for us. We got the Yubikey Nano, we thought we weren't going to be using it a lot, but ended up using it on the go. We had to buy some keychains for the nano as we kept misplacing them. Configuring the Yubikey was an easy task, but I was really left wanting more than two configuration slots. Added security to our employees and to our personal documents through a security key MFA. We got exactly what we paid and at a great price. "Great 2fa device to consider." I love that I can change the encryption password whenever I want. I love that it integrates with google accounts and lastpass. I love that I can also store a long password. Requires some technical skills to setup. So I'm not always willing to suggest to all my friends. Does. It work with iOS devices. Always buy 2. In the event one device does you don't want to have to wait for a secondary device to come in the mail. This would leave you locked out of all of your accounts. I work in the tech field so having a password that changes frequently is needed. In a growing age of stolen identity and resources, it helps me to not have to memorize passwords that can be bruteforced easily. Fantastic solution for U2F and multifactor authentication. The ease of use and implementation is amazing and creates a much easier 2-factor system. I wish they would include some storage into the device. I am already required to carry the device, if I could also use it as a flash drive I would be extremely happy. Simple physical 2-factor device, It is extremely useful with U2F clients. Device is extremely simple but must be paired with another software (Lastpass) in order to fully utilize the device. Multifactor authenticaion that is unique to each user and difficult to crack, but easy to use for individual users. It’s a very sturdy little drive that lasted me for years. It keeps all my stuff private. It’s really expensive and it’s hard to learn how to work it. I do not worry about my passwords being stolen. "Awesome, simple physical two factor authentication"
Yubico keys are simple to setup and use and have never failed me in three years of use. Not all software supports security keys for 2 factor authentication. Two factor auth is always worth implementing, and Yubico keys are the best way to implement physical two factor auth. We use Yubico keys to secure all internal websites and our access certificates. We've radically simplified the security process while increasing our security overall. "Does What It Needs To"
It keeps us in PCI, while not being too difficult for the end user. Simply plug in before logging in. It's very confusing to set up for the first time. It also creates a duplicate user icon for logging in. Read up and re-read the setup instructions. We are simultaneously trying to stay within PCI standards and solving for multi-factor authentication on machines that have local logins. "Very convenient and useful - hardware security "
* We monitor all Yubico reviews to prevent fraudulent reviews and keep review quality high. We do not post reviews by company employees or direct competitors. Validated reviews require the user to submit a screenshot of the product containing their user ID, in order to verify a user is an actual user of the product. Hi there! Are you looking to implement a solution like Yubico?